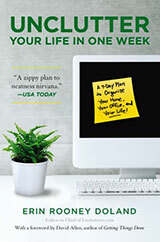 In one week’s time, many of us will find an unwieldy pile of candy on the kitchen table. Or spread across the living room rug. Or even, if your kids are like mine, stuffed inside a plastic pumpkin mixed in with empty wrappers, discarded boxes of less-favorable raisins, and utterly forgotten pencils. I love Halloween and I enjoy trick-or-treating with the kids. Heck, I’ll even grab a few peanut butter cups out of their stashes. But as a veteran of the holiday, I know the routine: within a few days, this candy will be forgotten about and left to collect dust. What is there to do with this sugary clutter? Actually, a lot. Now, before I get started with a list of what you can do with that leftover Halloween candy, a note: I’m not saying, “Take your kids’ candy away!” While I realize that sugary snacks are often nutritionally bankrupt, I also want kids to enjoy the brief time that they get to be kids. If that means scarfing down a Pixie Stick or two (or ten), great. Have fun. 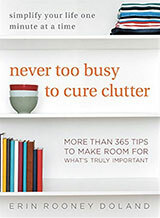 In this article, I’m referring to that abandoned pile that becomes clutter. That said, let’s get to it. Freeze your favorites. If you’ve ever asked yourself, “Exactly what’s fun about those tiny, ‘Fun Sized’ candy bars,” here’s the answer. When frozen, they’re fantastic. Put a few in the freezer for a frozen, out-of-sight treat for weeks to come. Cooking. Whip up some M&M cookies, chunky brownies or what-have-you. My favorite recipe for leftover Halloween candy is Trash Bark. Melt some chocolate, dump in the works and enjoy a holiday bark that puts the peppermint variety to shame. Transfer it to another holiday. Put some candy aside for an Advent calendar, gingerbread house or piñata filling. TroopTreats gathers and ships items needed and appreciated by troops who are serving our country abroad. Help them feel a little of that Halloween spirit no matter where they are with a donation of holiday candy. Do a buy back! Many business — especially dentist offices — will collect unwanted candy and distribute them to members of the military. Ronald McDonald House charities gladly accept Halloween candy every year, for distribution among the families of the severely ill children that they serve. Did you know that you can paint with Skittles, practice prediction skills with candy bars or blow up balloons with Pop Rocks? Maybe the kids are strong-willed enough to discover exactly how many licks it does take to get to the center of a Tootsie Pop. You can do these things and more, while showing the kids how to have unexpected fun with candy. 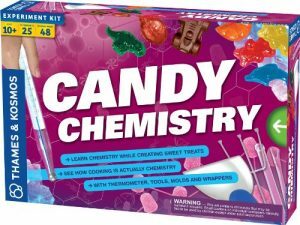 Of course, if you’re enjoying the science and want to explore even more, a kit like Candy Chemistry is a lot of educational fun. There are a few ideas. If you’ve got a great solution that I haven’t thought of, sound off below. And quickly, before I secretly eat the whole stash! Reading this makes me so glad that the youngest of my four sons is 29! I did enjoy Halloween when they were young, but it is lovely to have moved on!